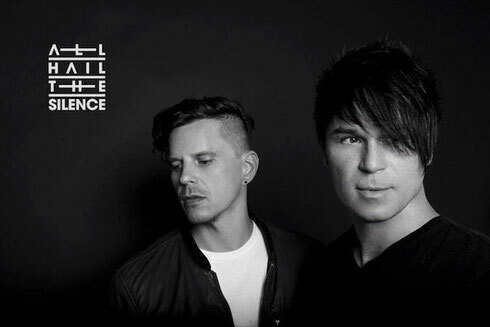 Together as All Hail The Silence, GRAMMY®-nominated composer BT and triple-platinum British singer Christian Burns have forged an EP that aims to resonate with ‘80s authenticity. Available exclusively on vinyl starting 19 September, BT and Burns have crafted a debut that may well sound as if it fell straight out of 1983. Awash in soaring vintage electronics, massive pop hooks and analog warmth, this synth-wave band aims to blur musical boundaries as their heroes Depeche Mode, Yaz, Human League and New Order did in the ‘80s. With as much of hat tip to the past as the future, they deliver a swan song of pure analog electronic music that looks to capture the essence and angst of ‘80s teenage coming of age. Without a computer in sight, the ‘AHTS 001 EP’ was recorded in a basement in Baltimore Maryland at an analog enthusiast's palace of modular synthesizers. This is not a record of plugins and tape approximations as no computers were used in the recording. It was crafted using step sequencers and modular/analog synthesizers; straight to tape. The result of this collaboration is a heavy rotation EP which you can check out below.